Craig Bird has departed the club after 137 matches in the red and white. The Sydney Swans have been involved in a three-way trade with Essendon and St Kilda. In the trade, the Swans have strengthened its draft position by acquiring picks 23 and 44 while midfielder Craig Bird has been traded to Essendon and draft pick 14 to St Kilda. The Swans will now enter next month’s AFL Draft with picks 23, 33, 44, 54, 72, 90 and 108 – improving its overall total number of points under the newly introduced father-son and Academy bidding system. 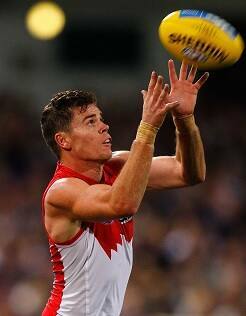 The departing Bird was recruited as a NSW zone selection from Nelson Bay with the 59th pick in the 2007 AFL Draft. The 26-year-old played six games this season for a career total of 137 matches which included the club’s 2012 premiership. Sydney Swans coach John Longmire wished to thank Bird for his time at the club. “Craig came to the Swans as an exciting talent from Nelson Bay in northern NSW and he really made the most of his time at the club,” Longmire said. “As a premiership player and an important member of our 2012 side, Craig will always hold a special place at the Swans. “Craig’s opportunities were limited somewhat in 2015 and we’re pleased to facilitate a trade that hopefully benefits both Craig and the club going forward.